He will replace the outgoing Jan Kjærsgaard from I January, 2018, as Kjærsgaard leaves for engineering company FLSmidth, where he will be group executive vice president. 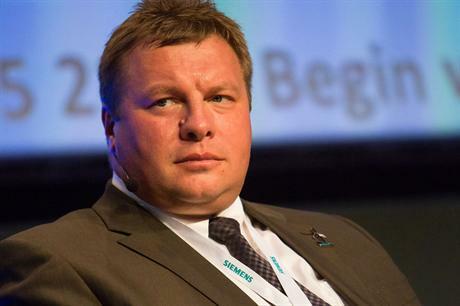 Mortensen had left Vestas earlier in December amid a reshuffle of the world-leading OEM’s European sales team. Kjaæsgaard (below) was appointed CEO of steel contractor Bladt in 2014. Since then, the steel fabricator has won contracts for components for some of the biggest offshore projects in northern Europe. Bladt, EEW SPC, and the two companies’ then-joint venture, Offshore Structures Britain (OSB) helped produce the foundations for turbines at Ørsted’s 659MW Walney Extension in the Irish Sea. Ørsted also contracted Bladt to provide 96 transition pieces for its 1.2GW Hornsea Project One off the UK’s Yorkshire coast. 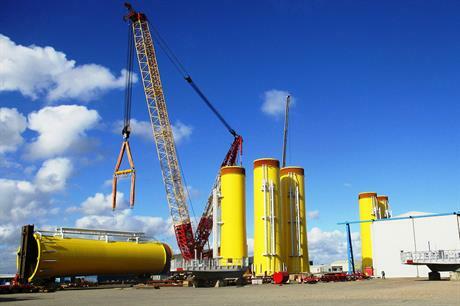 Bladt was also tapped up by SSE for 30 jacket foundations for the 588MW Beatrice site in the North Sea. Kjærsgaard said: "During my three years at Bladt Industries, we have focused on upgrading our relationships with key customers and key internal processes and I feel that the time is now opportune to take on another senior executive opportunity." Before his 11-year term with Vestas, Mortensen had worked for construction firms and other project-based companies. These included Danish railway maintenance company Banedanmark, housing construction and civil engineering form H. Hoffman & Sønner, project manager for the Øresund Connection – the bridge between Sweden and Denmark – and was also CEO for Denmark at Swedish-based construction company Skanska. Mortensen said: "I have followed Bladt Industries for a long time and when this opportunity came up, I did not hesitate as I see a lot of opportunities for Bladt Industries in the offshore wind as well as in the infrastructure businesses. "I believe I can contribute to the continued positive development of Bladt Industries by leveraging our track record to deliver best-in-class products and services to our customers and remain the trusted partner to the offshore developers, utilities and EPCI contractors for years to come." Jens Due Olsen, chairman of the board of Bladt Industries said he was "delighted" to welcome Mortensen to the company, and thanked Kjaæsgaard for "enhancing Bladt Industries’ capabilities".